Anticipation is building as the upcoming 2018 United Tool and Fastener  blowout One-Day Sale in November creeps closer. The event will occur on Nov. 7 in Houston; Nov. 8 in College Station; and Nov. 13 in San Antonio. “This event is always a ton of fun,” explained UTF owner, Bobby Williams, of the once-a-year sale. The one-day event has been going on for several years and keeps getting bigger and better with time. 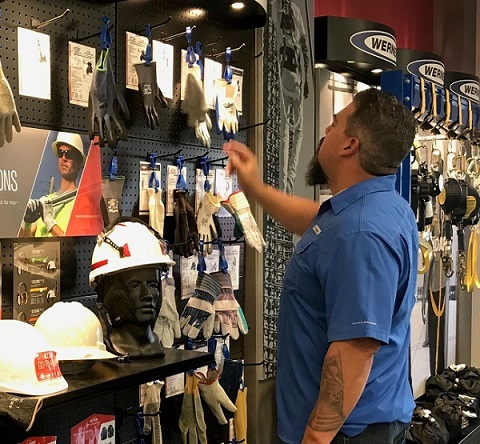 This year, customers can expect to see special one-day pricing and product demonstrations from PIP, Werner, KNAACK, DeWalt, Sundtrom, Southwire, and Overtime. Products can be viewed inside each Houston, San Antonio, or College Station showroom and outside in a large covered tent to protect merchandise and clients from inclement weather-be it sun or rain. Customers can even be shuttled to and from their cars by golf carts. For more information about the event or individual locations, please call 713-692-2323 in Houston ; 210-495-8665 in San Antonio ; and 979-731-8665 in College Station .